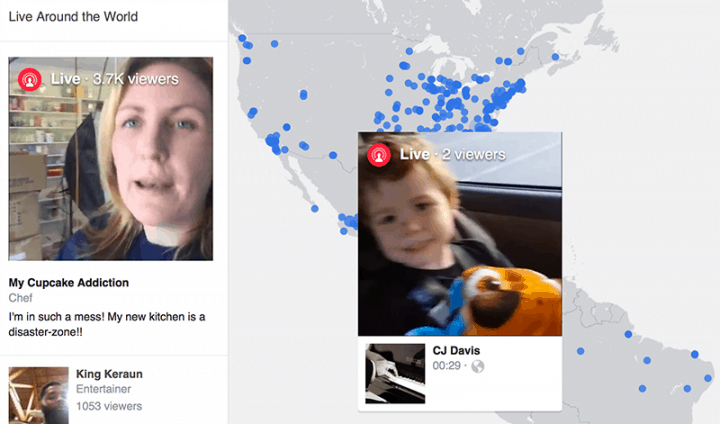 Facebook Live has been a much-hyped feature that offers a new dimension to follower outreach. Aimed at engagement through the powerful medium of visuals, you can broadcast to your followers in real time. Tip: Use this map to discover Facebook Live sessions all over the world! Streaming video services are quickly becoming a dime a dozen. But with its automatically generated video playback, this feature feels a lot more like YouTube than Livestream. That’s probably why Facebook Live has been compared to the video powerhouse time and again after its launch. 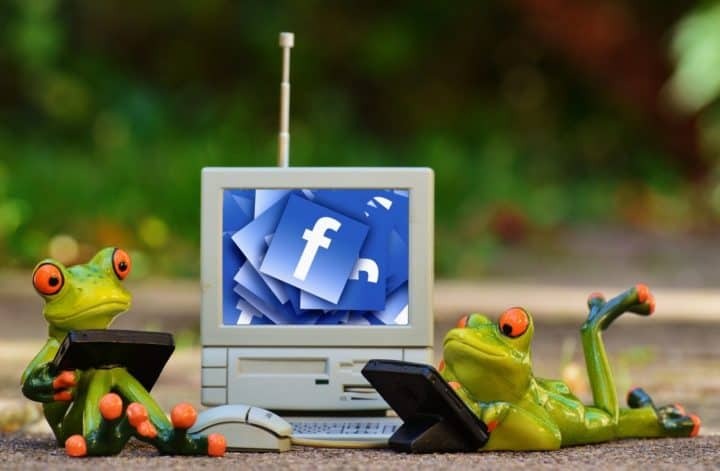 But what makes Facebook Live so unique is going to be the social connection element. YouTube is, by its nature, a stationary tool. You record a video, you edit it, you post it. People watch it, share it, and comment on it. You then respond with a comment, another video, or via a third-party social platform, like Twitter. This disconnect works for the medium. But Facebook has now made it possible to remove those extra steps. There is nothing between you and that engagement, and it is timely and relevant at the moment. You are getting reactions to things happening right then. It is an amazing leap in the technology, especially for brands looking to grow. Here are five ways you can make it work for you. Take advantage of the live nature of this tool by gathering experts and getting your followers involved in speaking to them. A video streaming Q & A with some recognizable names is an amazing way to connect with the people on your page. You can build some hype, and get people to keep an eye on your profile for more in the future. Conferences are a great opportunity to do this. Find out who will be attending one you are planning to go to and send them a quick message by email or social media. See if they would be willing to take 20 minutes out of a conference for a quick live stream. You could fit several into one weekend. 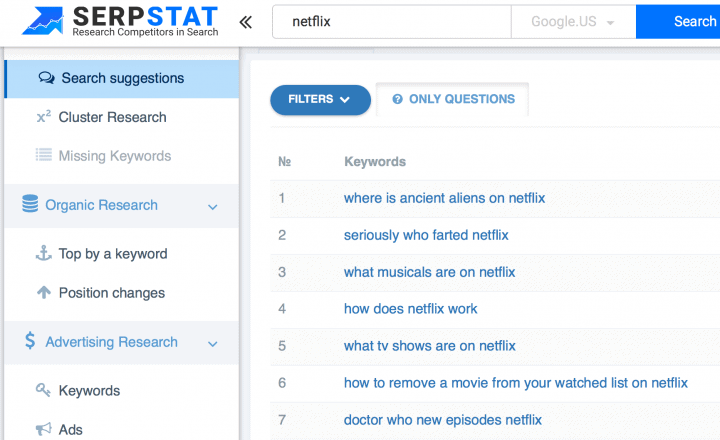 You’ll see a huge list of questions users tend to search for which include your word. You can download the whole list as a CSV file to create some notes for the future discussion. What’s more, this feature is free and you don’t even need to register to access it. Speaking of conferences, why not live stream an event that they otherwise aren’t able to get to? If you are holding a lecture, have someone stream it on Facebook as it happens. Walk around the expo floor sharing the latest and greatest from global brands on display. Stop and speak to people who might be of interest, like booth operators and other attendees. Imagine taking your followers behind the scenes at E3, or a Microsoft event. The number of views both during and after would be insane. 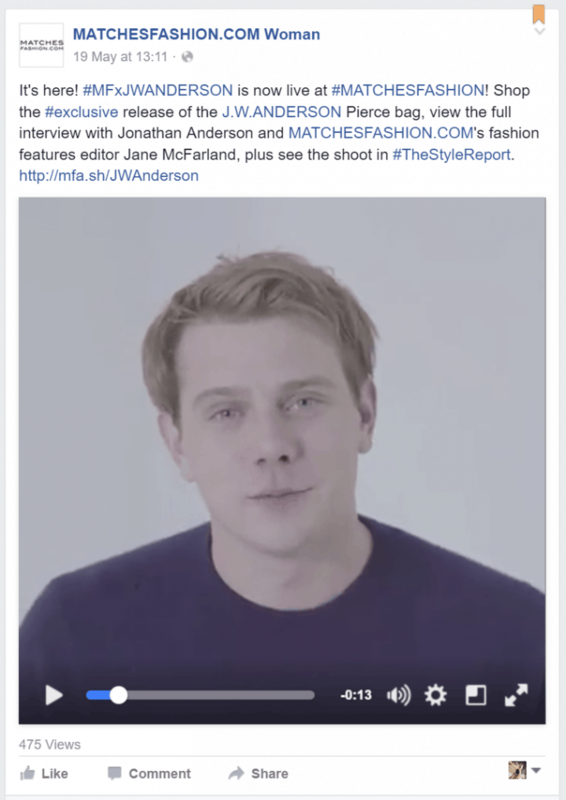 Matches Fashion live-streams fashion shows and mini q&a sessions with notable people and team members. What is a day in your life like? How do you run your operations? What people do you encounter? Where do you go? There is something relaxing and unifying about watching a person go through everyday tasks. Why do you think a photo of a cup of Starbucks coffee can go viral on Instagram? Those daily events of little importance make up the stuff of life. Let your followers see through your eyes, even if what they are seeing isn’t that important. Give them a glimpse of the airport as you wait for a flight. Talk to them as you take a walk through the park. Be a real human being sharing a real human day with other real humans. They won’t be able to help but feel a connection to you. 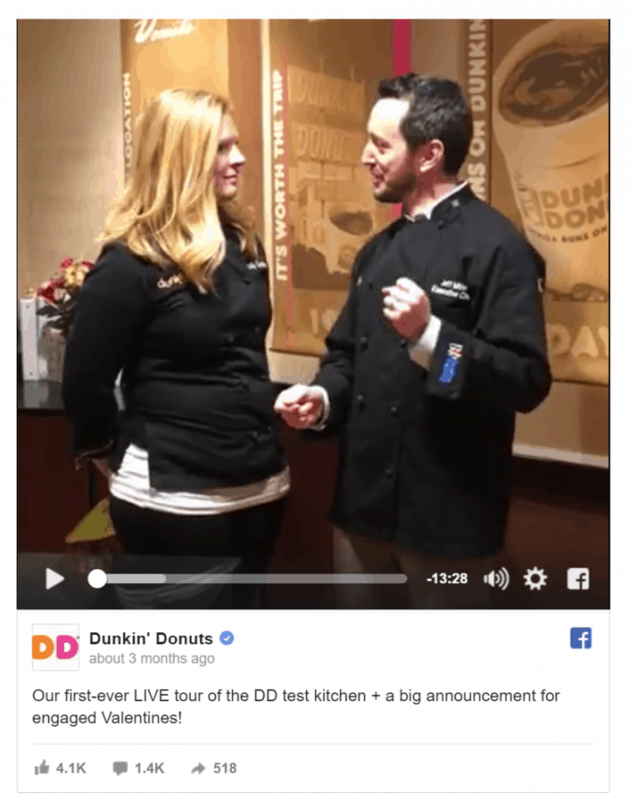 Dunkin’ Donuts takes its Facebook audience into their facilities where the company makes its products. I can see a brand easily creating an experience using Facebook Live and a bit of creativity. The rawness of the video taken from a mobile device, the lack of context. You could create something visceral and fascinating that really builds a buzz among your audience. A Facebook friend of mine turned on Live on by accident and kept it on for almost fifteen minutes while she hiked and spoke to another friend. It was out of focus, had no context, and you could barely see a thing. Yet, it was still a fascinating thing to watch. Why? Because it is new and real, and exciting. Just imagine what you could make intentionally! 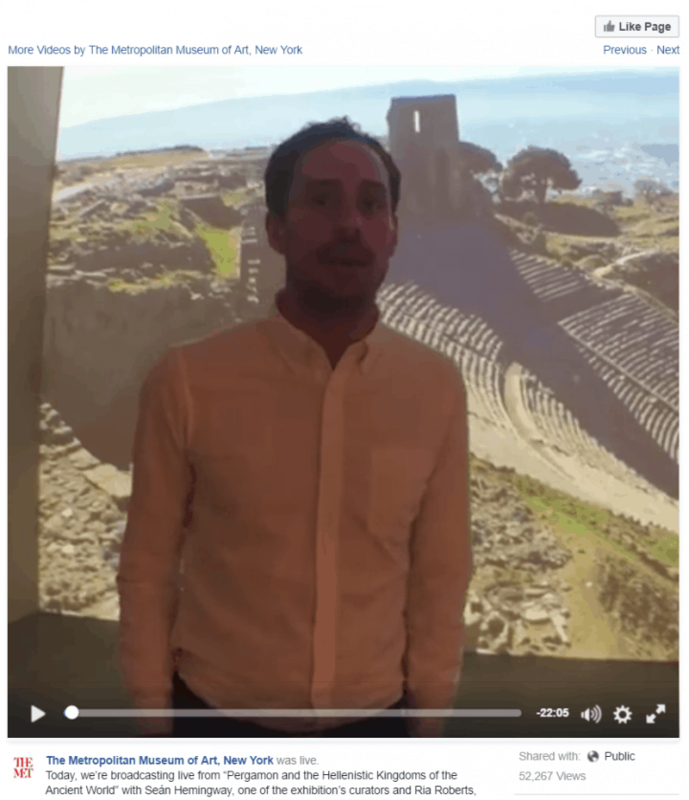 The Metropolitan Museum of Art took its Facebook fans to the pre-tour of its new exhibition around the ancient Hellenistic city of Pergamon. The live show enjoyed the audience of over 50,000! I love amateur news shows. I watch them all the time. With Facebook Live, you can talk about breaking news while it is happening. Or discuss current topics while getting live feed from your followers. You can take their own opinions, answer questions, and get a conversation going. Podcasts do this a lot by holding a chatroom or watching Twitter while they are recording. But that removes the urgency and timeliness as the users have to wait for responses. And that’s until you publish an episode which might be days, or even weeks, later. With Facebook Live, it is all happening in real time. If you already do live streaming, there’s no reason to stay within one channel medium and channel. Try live streaming on Youtube, Facebook, and Periscope. Keep every channel for something different. For example, use Youtube for events, Facebook for Q&A and Periscope for news). You can edit the videos to make mini videos to re-use on Instagram, Twitter, and Vine. Mention your other channels saying where the users should tune into next to see the next episode. The opportunities are endless! Online accounts get hacked and closed every day. Make sure to archive all your videos to make sure you can access them whenever anything goes wrong with any of your channels. 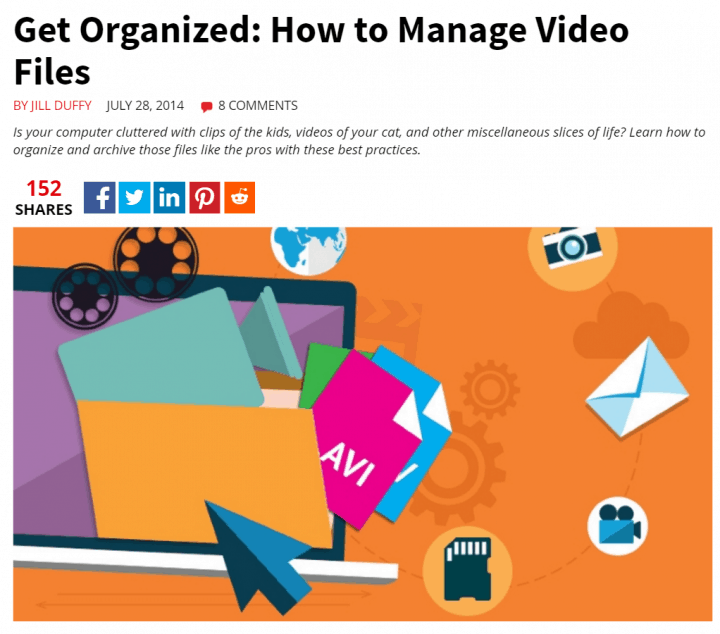 Here are some good options to store your videos and here’s a good tutorial on how to organize your archive. All this effort grows your brand, and your social visibility. Engagement is essential these days, and with engagement comes lead generation and conversion. You need to foster some loyalty, first. Facebook Live is the best social tool to come out for this purpose in a while. And it is a fun one, to boot!